We are pleased to announce that Ray will be doing a short lecture tour in Scotland and Belfast later this year. Ray Mears’ skills with nature and in bushcraft have been acquired through working in some of the world’s remotest and harshest environments. In this fascinating presentation Ray brings together 30 years of study with a compelling story of wilderness, its wildlife and the bushcraft skills necessary for survival. 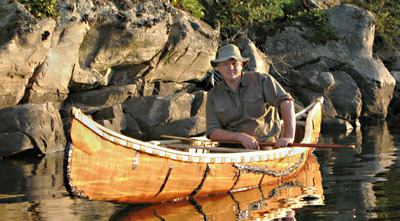 This entry was posted in Site Announcements on June 17, 2010 by Woodlore Team. Why doesn’t Ray ever come to the United States? I would very much enjoy the chance to attend his lectures. Please bring Ray to America! Scotland is Ray’s playground mateys! Come on guys, its a arctic wilderness? Who would not want to play up there in the cudd’s? See you there boys and Ray’s a winner in my books. I’m going to Glasgow one (from Birmingham too). I went to the last one in Birmingham and loved it! Mr Mears was great, funny and showed alot of passion for what he does. If it’s anywhere near as good as the Northern Wilderness tour it’s going to be a very good night. yea look forward to going to a lecture. pity there is none in the ROI so im forced to travel up north. hopefully will be worth while! I got all exited on first reading the title. Sadly the lectures are no were near me. I had the great fortune of seeing Ray’s lecture in Llandudno last year on his Northern Wilderness. This was not exactly local but it was made into a nice weekend break and was a fascinating evening. Anyone thinking of going should. His passion for his subject and his presentation are first rate and well worth going. The Q&A session is the usual naff questions (Bear was mentioned – why? ), but Ray was patient and in good humour. A true gentleman and skilled presenter.